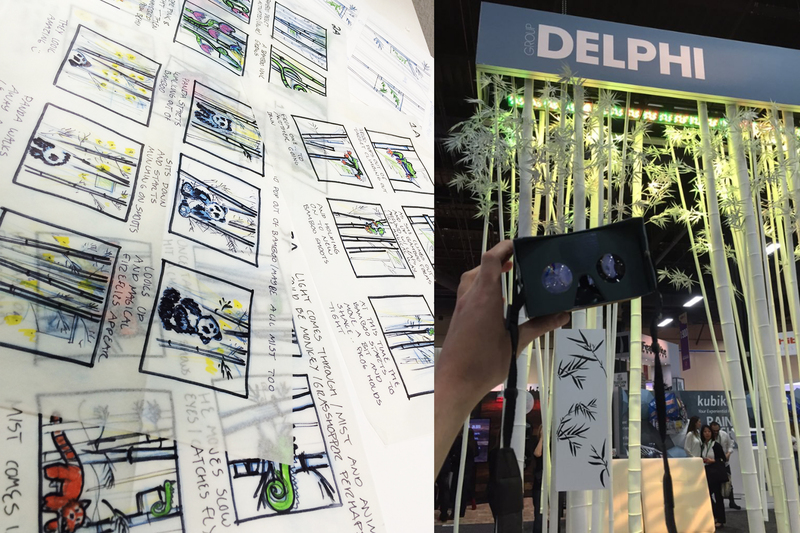 Group Delphi was participating at Exhibitor Live 2016 and I was asked to help with the design for their booth. The treatment titled “It’s a Jungle Out There” was given to me as a starting point. 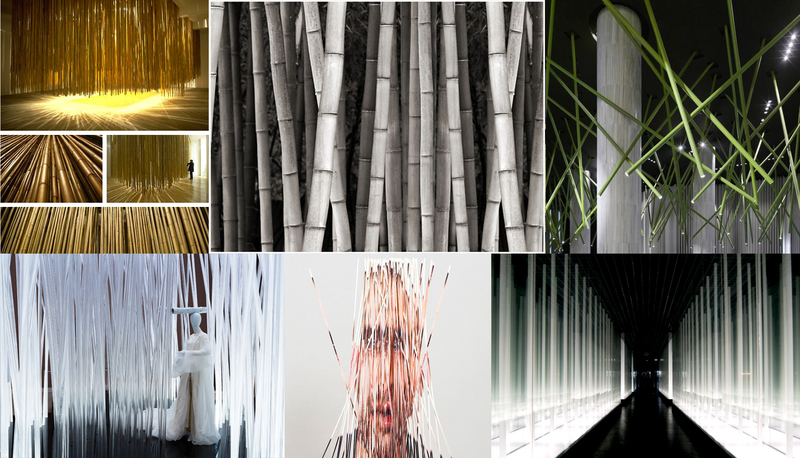 The concept was to design a lighthearted, visual expression of the challenges that exhibit professionals face everyday. 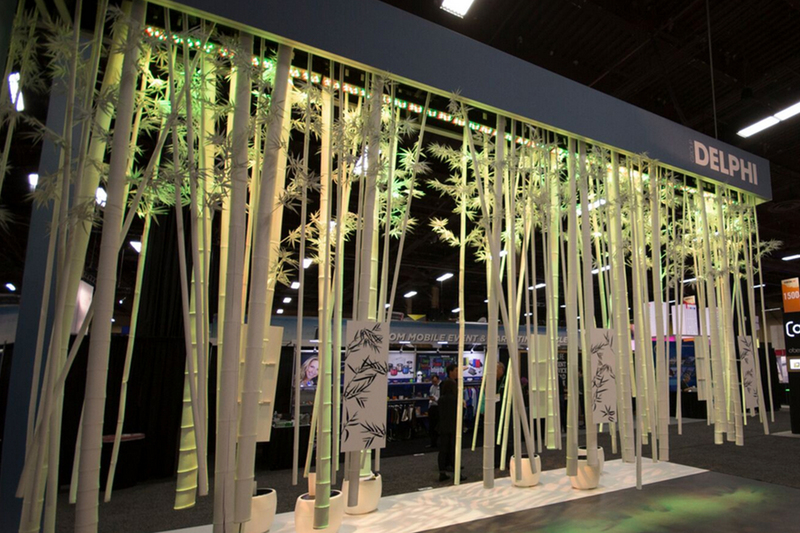 Visitors would immerse themselves into a bamboo forest that would come alive with colored lights, sounds and animated visuals. 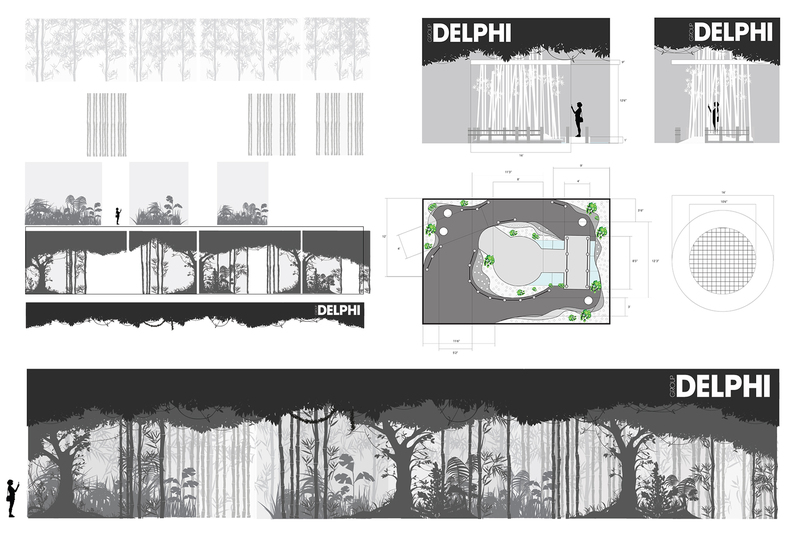 I created mood boards, visual style images, sketches, models and even got to sketch storyboards for the animal animations that would be seen in VR when visitors peered through Google Cardboard glasses. 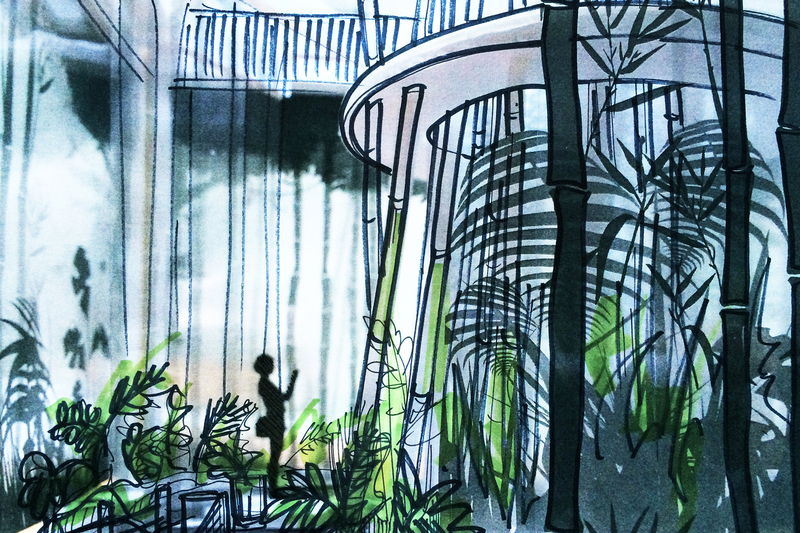 In the end the design had to be simplified a lot, but the experience was fully immersive. 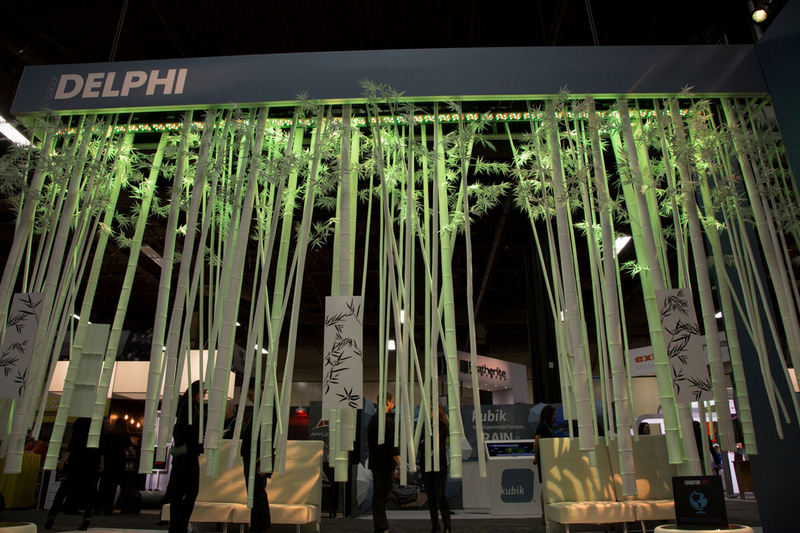 As visitors turned their heads, the jungle followed their gaze, sweeping them off the show floor and into the realization that with Group Delphi, anything is possible. The response was nearly unanimous: gasps, smiles, and great conversation. 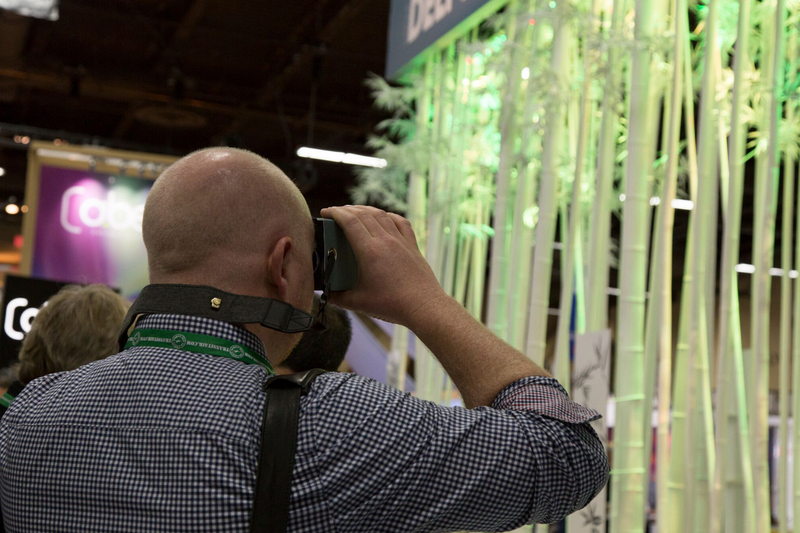 Thanks to an intriguing theme, a talented team, a tactile experience, and some well-chosen tech, the experiential jungle became a link to fantastic connections and future leads.